Now is a great time to address those thin and bare spots in your lawn. Using a good quality seed will insure a better result. Good seed to soil contact should allow for a better germination rate. 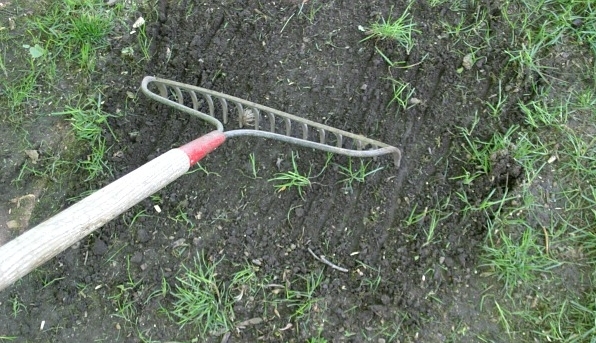 Simply rough the ground with a leaf or metal garden rake, apply your seed, and then rake one more time. 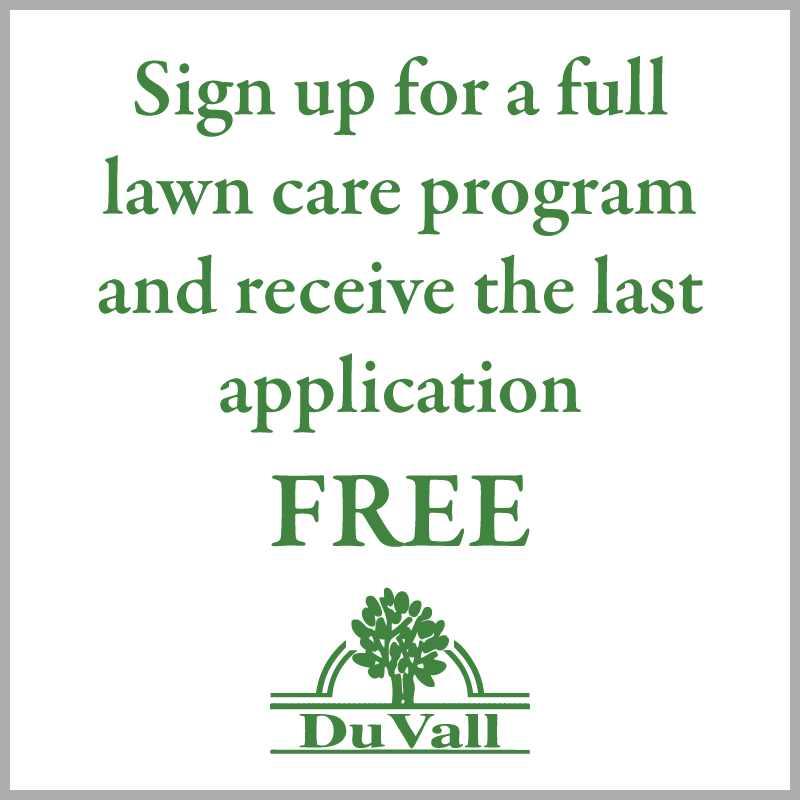 Contact us for a free, no hassle lawn care proposal. Here is the official countdown to spring and it is fast approaching! It’s time to be thinking about what your lawn will need for spring. 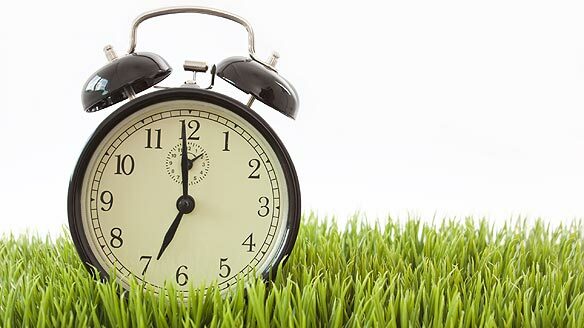 With the long cold winter we have had, your lawn has used up many of its’ nutrients. 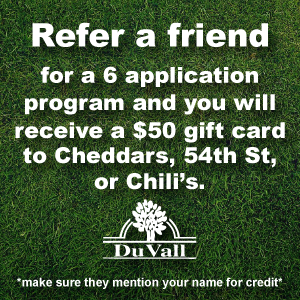 Contact us for a lawn care program specifically for your lawn. Lawn clippings are not exactly considered valuable to a lawn or landscape, but the reality of the matter is that they can be extremely helpful in the growing process of your turf. 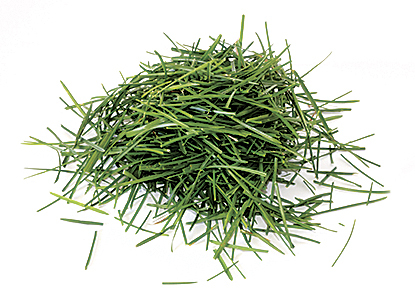 Many people bag or rake lawn clippings instead of leaving them on the surface of the lawn for fear it will develop into a layer of thatch. However, lawn care specialists say it will not. Instead it will break down and act as natural fertilizer for your turf. In addition, it was add nitrogen to the soil beneath your turf organically. If you are worried about the “messy” or unkempt appearance your lawn may have if you do not get rid of the grass clippings after mowing, consider purchasing a mulch mower. If leaving them on your lawn is just too much for you to handle, try hand raking them instead of bagging them. However, do not put them out for the garbage men to pick up. Mulch the clippings and use it to cover the ground of a landscape bed. If you have a compost pile, they will make an excellent addition and become a nutrient-rich mixture that will serve as perfect fertilizer. More importantly, you are saving them from the garbage dump where they will only take up room that, let’s face it, we don’t exactly have for our ever-expanding collection of garbage. If you are not sure what you should do about your grass clippings, talk to your local lawn care provider and get expert advice! As a population, we are not very fond of bees. 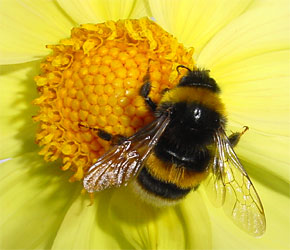 They sting and buzz by our ears and chase us when we have something sweet or fragrant in our possession. Many people are even severely allergic to bees, which if the allergy is severe enough, can be potentially fatal. So with that stated, it is probably a pretty good idea to keep an eye out for these flying insects. If populations are large enough or if their hives are close to your home, you definitely want to seek professional intervention. However, in the meantime, here is some information from your lawn care experts to help you stay on top of your potential bee problem. If you happen to see bees in your yard, that doesn’t necessarily mean you have a bee problem. Bees are known to travel vast distances and there is a good chance the bee doesn’t belong to a nearby hive. It’s when you notice bees near or even inside your home that you need to really worry. Oftentimes, bees will create a hive under aluminum siding and will find easy access to the interior of your home through holes or eaves. You may be tempted to remove the nest yourself or maybe even scare them away by spraying them with a hose; as lawn care experts who regularly come into contact with bees, we strongly urge you to rethink those actions. Bees that feel threatened may attack you and string you all over your body. What you should do is call your bee removal expert who can not only remove the threat, but identify weak spots in and around your home. From there you can caulk any cracks, move garbage cans farther away from your home and make sure all your doors and windows are sufficiently sealed. If you’re frustrated with the way your lawn looks, maybe it’s time to make some changes. It is very possible that you’re not aware that some of the things you’re doing (or perhaps not doing) is having a very big effect on your lawn. Here are some lawn care tips that may help you take better care of your turf and ensure a more successful and healthy landscape. 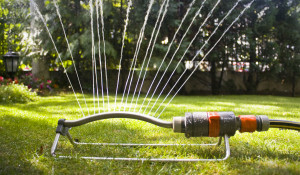 Watering: If you drive through any normal American neighborhood in the evening, chances are you’ll see quite a few residents watering their lawn. This is a common mistake. Since the moisture won’t evaporate throughout the night, it will create the perfect opportunity for mold or other fungi to grow. Instead, water your lawn in the morning so the moisture has a chance to evaporate. 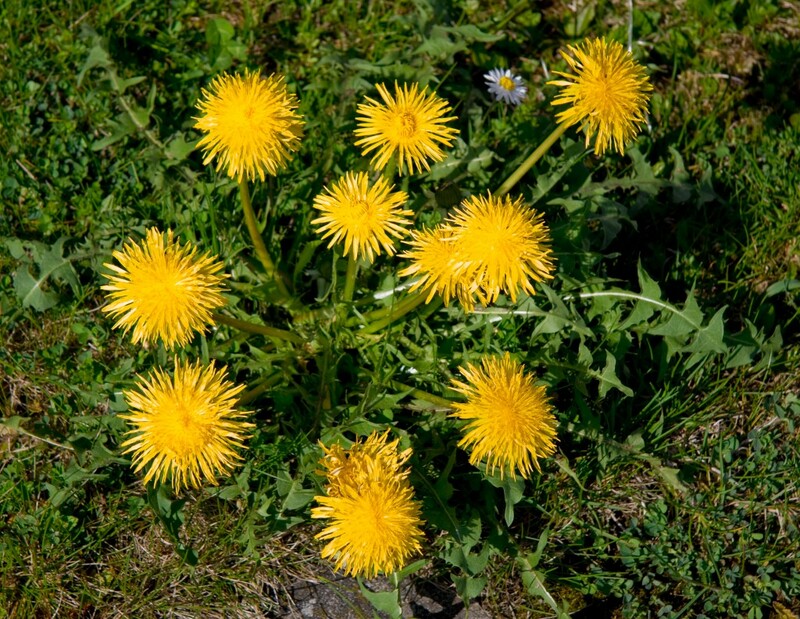 Weed Control: If weeds are popping up in your lawn, you definitely want to get a handle on this issue sooner rather than later. Weeds are notorious for their ability to spread quickly. Corn gluten, an organic material, has several benefits that include killing weed seedlings and introducing nitrogen into the soil naturally. 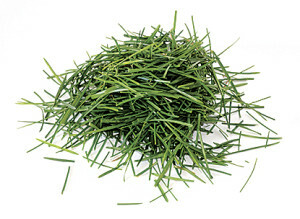 Lawn Clippings: Many people are tempted to bag their clippings or have them blown away, but as long as the amount of clippings isn’t thick (as in you haven’t mowed for a couple months), you can leave them on your lawn where they will decompose and become natural fertilizer. If you’re worried about clippings making your lawn look messy, consider investing in a mulching mower. Hopefully these simple lawn care tips can help put you on the path to a healthier, more beautiful lawn! If you talk to any lawn care professional, he or she will tell you that the content of the soil dictates how well everything grows, if it grows at all. Most people are aware that if they want to enhance the quality and rate of growth of their lawn, they need to have their soil tested to discern it’s pH, or acidity, level. If your soil’s pH is too high, you will need to apply sulfate and sulfur to bring the level to a more neutral status. Sulfate will deliver more immediate results because the aluminum within it will dissolve rapidly and produces the beneficial acidity. Sulfur treatments will take a bit longer to get the soil to a more desirable level. In fact, it may take months to reach any noticeable difference. No matter which route you decide to take regarding sulfate or sulfur, both should be sufficiently mixed into and throughout the soil after it has been applied to boost the effectiveness of the treatment. If you are applying the sulfate or sulfur yourself, take care not to get it on any surrounding plants and consult with your lawn care professionals first. 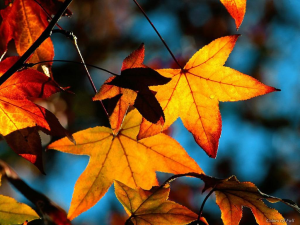 If you do happen to get any of this material on surrounding plants, wash the leaves of the plants off as soon as you can to prevent leaf burn. You should also be aware of how much you’re applying and take measures to not over-apply either. 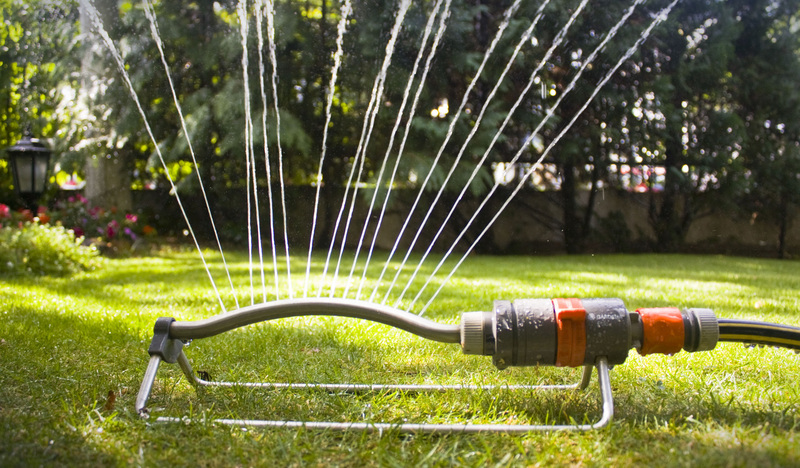 The best solution is to contact your lawn care company and let them handle the process. 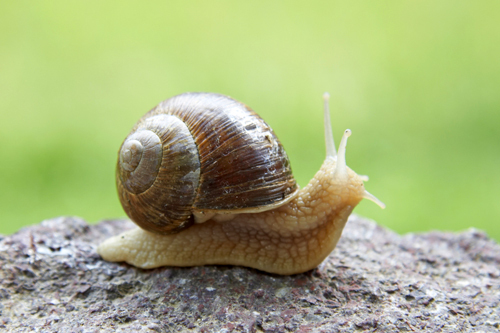 Although snails and slugs look harmless enough (just kind of gross and slimy, maybe), they are actually quite destructive to domestic and commercial gardens. They can cause so much damage that it is best to have an effective lawn care regimen in place to stop the damage before it begins. First you should know a little about these squishy insects. Snails and slugs are mollusks. The slimy trail they leave behind as they squirm all over your pavement and plants is what allow them to stay alive, since they need to be moist. This slime also helps them move around. These bugs are hermaphrodites, so they can populate your garden all by themselves without any help. Lawn care specialists say you may find them attached to garden fences or other structures near plants when the temperature becomes much cooler. There is a small difference between the two insects. Snails have shells that give them protection. Slugs are basically the same insect, but without a shell. Both can stretch their bodies quite far and both have a set of antenna and eyes. Although they enjoy any type of foliage, they are partial to fruit plants such as tomatoes, strawberries, lemon trees, etc. 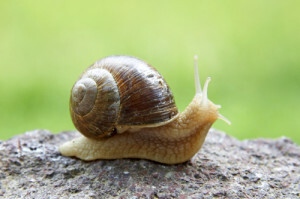 During the winter, snails and slugs hibernate, sometimes in your home in a warm, dark, damp location. They don’t like the sun much since the heat and light can dry out their mucus. When they reproduce, they can lay up to 500 eggs in one season, however that is not to say all will survive. Their life expectancy is about four years, but most tend to die off before then. If you have a persistent snail or slug problem, be sure to save your garden by calling your local lawn care authorities. Lawn care Tip: Beware of mites! Anytime we spend any appreciable amount of time outdoors, we should be aware of the possibility of bringing home a few new friends with us, including mites. However, the great outdoors isn’t the only place we encounter mites, say lawn care experts. These microscopic bugs can be found literally everywhere. These insects have small rounded bodies and eight legs. You aren’t likely to be able to see them, since they are almost impossible to detect with the naked eye and are much smaller than ticks. Since we have difficulty seeing them, it is unlikely that you’ll know if they’ve hitched a ride on your clothing or are lurking in your closet or even on your pets. There are different variations of mites, including dust mites, spider mites, mange mites, sarcoptic mites, gall mites and demodex mites. Mite specialists say they receive their name based on where they live and thrive. For example, dust mites tend to live in the home where there is dust. You may notice you have mites by the mild to severe skin irritations that follow when they interact with us or our pets. Dogs or cats may constantly dig at themselves trying to relieve the itching mites cause. Similarly, we may notice red, dry patches of skin on our bodies that constantly itch. The best remedy, according to the lawn care specialists, is to combat mites is by cleaning and keeping up with our cleaning regimen. Wash bed sheets and pillows often and with hot water. Vacuum carpets and upholstered furniture, being sure to get into cracks and crevices. Consider getting perimeter pest control to make sure these insects are unable to gain access to your home. Advances in landscaping technology are always making our lives better and often freeing up time for us to spend having fun rather than working. Although, some things are purely American, including mowing our lawns. However, with the invention of automatic lawn mowers, that notion may be heading for the archives. Our technological funny bones were tickled with the Roomba was invented. Finally a self-directing vacuum cleaner! How awesome would it be if that same technology was applied to mowing the lawn? Well now it has! There are many different brands of automatic lawn mowers on the market, with Husqvarna being one of the top, according to landscaping professionals. If you’re looking to make your life a little easier by purchasing one of these three models, here is some information you may want to consider when making your choice. If you don’t think an automatic lawn mower is for you, you may change your mind after reviewing this information. The 230 ACX is able to cover ¾ of an acre before needing recharged. This unit has a MSRP of $ 2,699.95. The 220 AC is able to cover ½ of an acre and runs slightly cheaper at $ 2,399.95. The Solar Hybrid is the world’s first fully automatic lawn power that is partly powered by the sun. It uses much less energy than any other conventional lawn mower. The attached solar power enables the mower to extend cutting time before it requires recharging, which means your lawn will be able to be cut in a shorter amount of time. Depending on the amount of sunlight available, the Solar Hybrid is typically able to cut a ½ an acre. The idea behind this automatic lawn mower is to mimic the grazing habits of sheep. As the manufacturer’s website states: “Cut a little all the time in a random pattern.” The Solar Hybrid functions regardless of weather conditions. All models are able to have the height adjusted by turning a knob. The blades are located far from the outer edge to ensure fingers are not sliced if they happen to lift the edge of the mower. All mowers will automatically shut off if lifted off the ground.